Before basketball, there was track cycling. 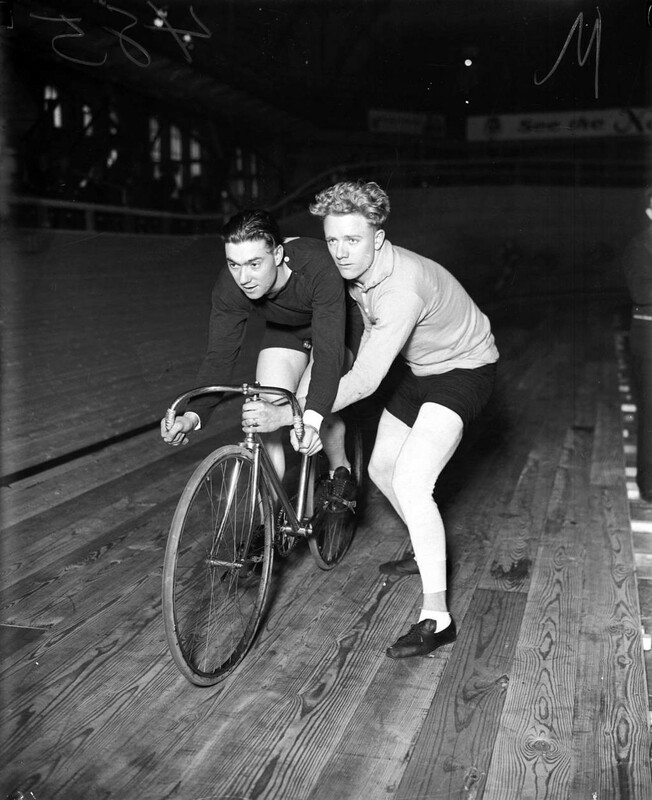 Invented in the mid-1800s, track cycling was briefly the №1 spectator sport in the US. Initially designed to test athletes’ endurance, the sport was exciting, exhausting and impressively dangerous. Bicycles were invented in the early 1800s, but early designs overlooked a few key features (think: the ability to steer; brakes). It wasn’t until 1885 when the Rover Safety Bicycle was released that cycling experienced a surge in popularity. As biking became a cultural phenomenon, track cycling emerged as a challenging sport for athletes and a new entertainment option for viewers. The sport scrapped this grueling format in 1898. Instead, cyclists tag-teamed the race, switching off every few hours. Even with the new modifications, the sport remained deadly. Riders were only able to stop by gripping their bike’s front wheel; broken collarbones and skull fractures abounded. 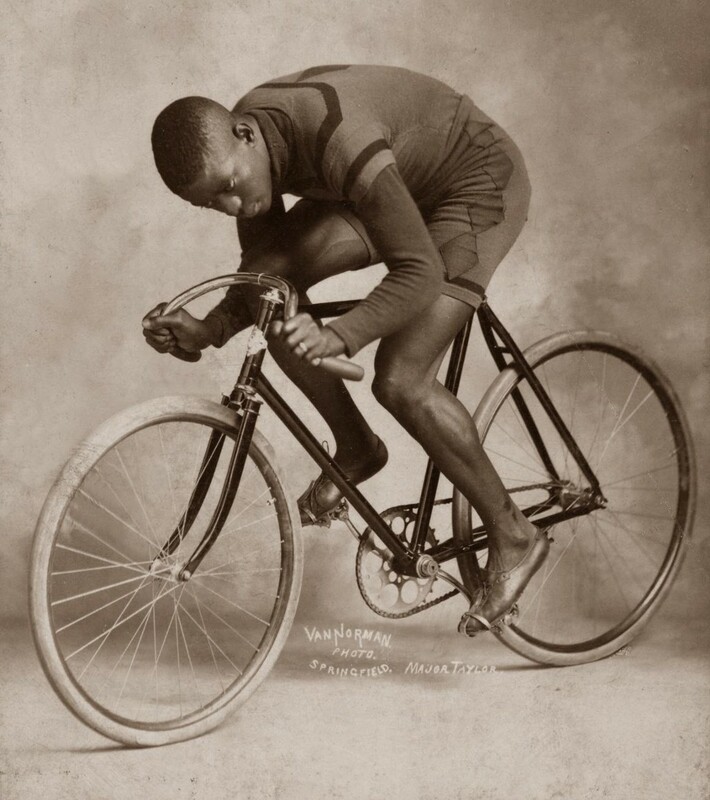 If track cycling was the basketball of the 1890s, Major Taylor was the sport’s Michael Jordan. 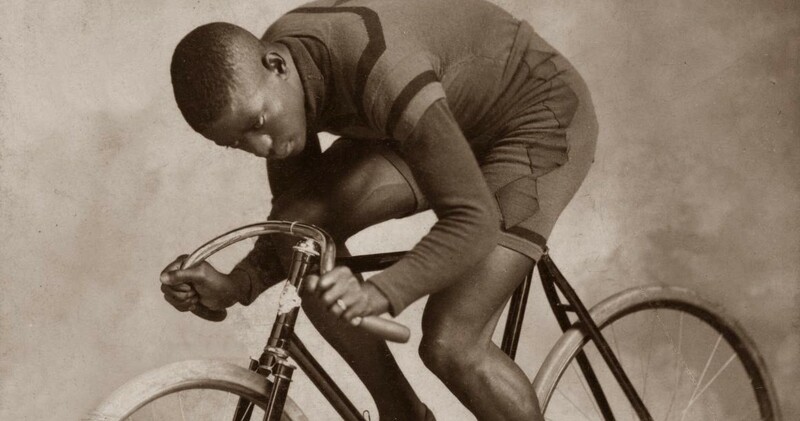 The second black man to win an athletic world championship (boxer George Dixon was first), Major Taylor dominated the sport for his entire track cycling career. Marshall Walter “Major” Taylor was born on Nov. 26, 1878 in Indianapolis, Indiana. His father, a farmer and Civil War veteran, drove a carriage for an upper-class white family. Major became close with the family and when they moved away, they gifted him his first bicycle. Major won his first bike race — a 10-mile event — as a young teen. His success bred resentment and soon after, Major was prohibited from competing in cycling tournaments in Indianapolis. Jackie Robinson broke baseball’s color barrier in 1947 when he signed on to play second base for the Brooklyn Dodgers. Major Taylor broke cycling’s color barrier 50 years earlier when he began racing professionally. In 1896, Major moved from Indianapolis to Worcester, MA to get serious about cycling. At 18 years old, he competed in his first major race at Madison Square Garden and took eighth place. From there, Major’s cycling career accelerated and in the next three years, he broke seven world records and won a national championship and an international championship. Major’s years of athletic dominance were marred by racism. Riders colluded to eliminate him from competition by pushing him off the cycling track. Spectators dumped ice water on him as he rode and placed tacks in front of his bicycle wheels to slow him down. Athletes and fans threatened him and judges refused to acknowledge his victories. History remembers Major Taylor as a moral and devout man who wouldn’t compete on Sundays. He married Daisy V. Morris in 1902; their daughter Rita Sydney was born two years later. Physically and emotionally drained by his grueling racing schedule and the rampant racism he endured, Major left cycling in 1910 at the age of 32. 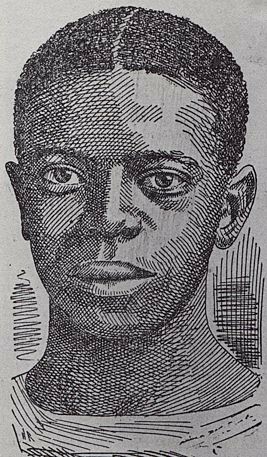 Major Taylor died on June 21, 1932, 22 years after retiring from cycling. Local authorities paid for his burial, which his family did not attend. Sixteen years after his death, Major got the memorial he truly deserved. A group of retired cyclists and Frank Schwinn of Schwinn Bicycles collaborated to give Major a proper funeral. They paid to have his body exhumed and moved from the welfare section of Mount Glenwood Cemetery in Cook County, Illinois to a more respectable part of the graveyard. Today, Major’s influence is felt throughout the cycling world. In 1982, the Major Taylor Velodrome opened in Indianapolis; the cycling team at Indiana University is named in his honor. In Worcester, he is regarded as a hometown hero. Major’s contributions to track cycling are unassailable, but his name is not synonymous with racial progress the same way Jackie Robinson’s is. This can only be attributed to track cycling’s fall from grace — the buzz surrounding this exhausting, thrilling sport fizzled around World War II. As basketball, football and baseball rose in prominence, track cycling — and Major Taylor — were left in the dust.